As many of you know, this is my first retail job...ever. 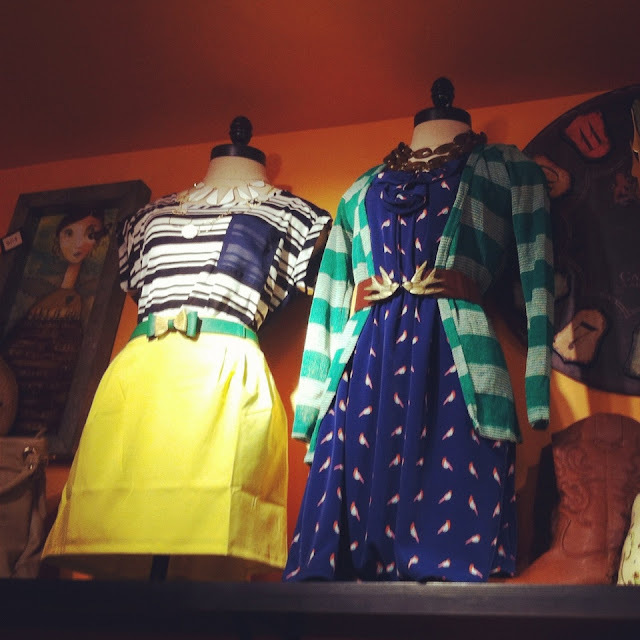 I asked lots and lots of questions about what creative process is normal in dressing mannequins. I just love getting outfits and accessories together, but sometimes I would get a creative block. All the mannequins should be dressed like they are going to the same place. so they planned a girls' night out on the town to a pretty ritzy restaurant and happened to run into the Gossip Girl cast and danced all night long. So now, I make up 'lil stories to go with each set of mannequins. 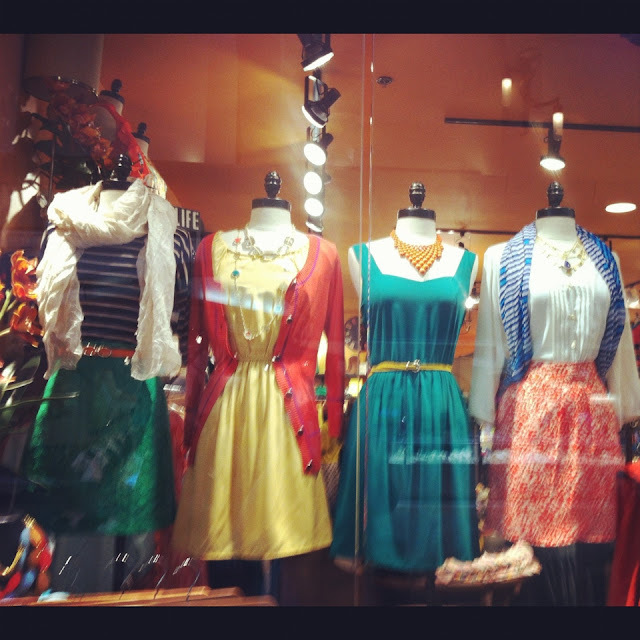 Some of the girls in the store even name the mannequins and give them personalities. These girls are bff's from Texas, and they are heading to a friend's wedding in the country. 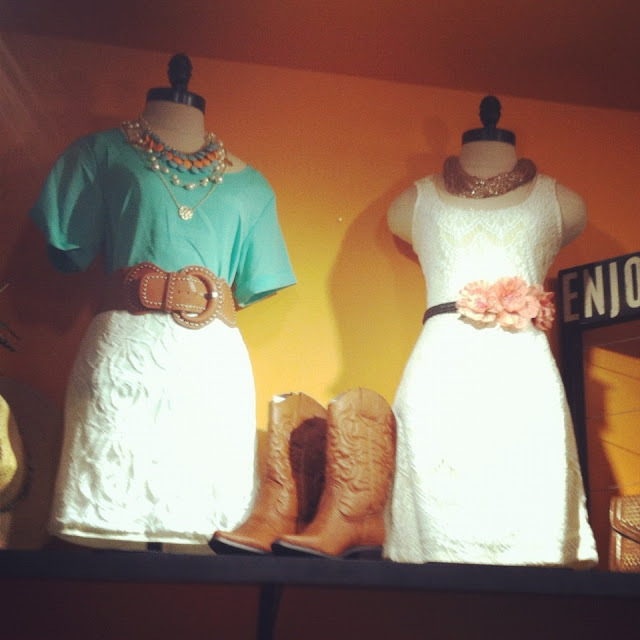 A mix of vintage, class, and country! These are girls heading out for lunch at Zupas while it's raining outside, to catch up on all the latest gossip over some delicious paninis and salad. This is the start of my jewelry organization, so I can see exactly what I have. So hopefully, when I go shopping I stop getting stuff that looks like something I already have. Any of you have some stories for the mannequin girls? That's way cool that you get to pick what the mannequins wear! I work at Victoria's Secret and we're just told. And it's pretty awkward putting underwear on someone else haha! 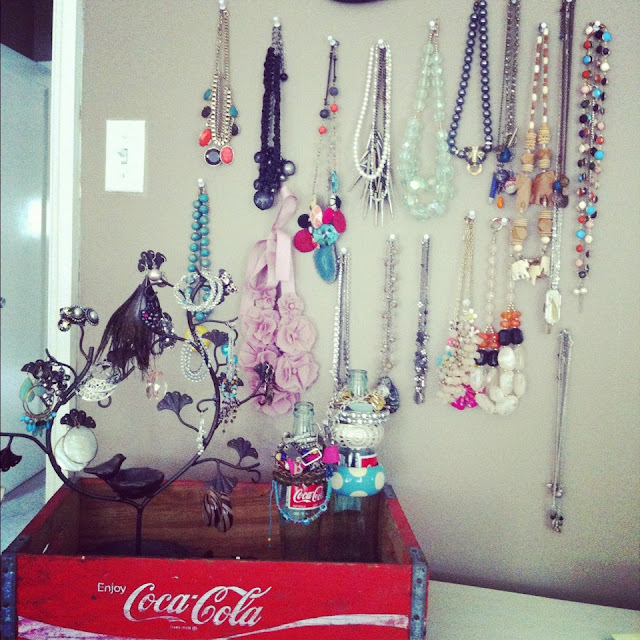 I also love your jewelry display, super cute set up! I totes wanna go to franchescas and buy ALL of those outfits now!!! Do you get a good discount? Cuz maybe I need to get a job there. Bahaha! so so fun and cute!! also great styling! might have to take a bit of your advice! What a FUN job! They look great and I love the stories. you are absolutely adorable. with impeccable style!